Desertification means land degradation in arid, semi-arid and dry sub-humid areas resulting from various factors, including climatic variations and human activities. Land degradation means reduction or loss, in arid, semi-arid and dry sub-humid areas, of the biological or economic productivity and complexity of rainfed cropland, irrigated cropland, or range, pasture, forest and woodlands resulting from land uses or from a process or combination of processes, including processes arising from human activities and habitation patterns, such as (i) soil erosion caused by wind and/or water (ii) deterioration of the physical, chemical and biological or economic properties of soil and (iii) long-term loss of natural vegetation (UNCCD). The soils in the Indus basin are recent and undeveloped. The surrounding mountains have some of the world’s steepest and largest slopes. Intense summer rainfalls along with melting of snow in high mountains contribute to the soil erosion hazards. Land use practices, vegetation cover, soil type and structures are other major factors related to soil and water erosion. In the northern mountainous areas with steep slopes, the water erosion is low in the areas with permanently closed canopy forests, while the erosion is greater in areas with arable crops on steep slopes. About 11 million hectares are affected by water erosion. Sedimentation of canal irrigation system decreases water and land use efficiency. Some 40 million tones of soils are brought into the Indus basin each year. It shortens the lifespan of major reservoirs and reduces their efficiency. The upstream riverside infrastructure is destroyed and topsoil is washed away declining productivity of the area. In downstream, the sediment reduces the efficiency of hydropower generation and irrigation systems. Land degradation by wind erosion is quite common in the sandy deserts of Thal, Cholistan, Tharparkar and sandy areas along Mekran Coast. Erosion is significant in areas around habitations and watering points trampled by livestock. Here the major degrading factor is the overexploitation of rangelands for fuelwood cutting and livestock grazing. The global impact of wind erosion is prevalent in areas where sand dunes are leveled for irrigated cropping. These areas have assumed the form of 0.5 m to 4 m high moving sand dunes, posing danger for cultivated land and infrastructure. Some 3-5 million hectares are affected by wind erosion. The amount of soil removed by wind is about 28% of total soil loss. High-velocity wind storms cause severe movement of sand dunes depositing a thick layer of sand on roads, railway tracks, croplands and threaten village inhabitants. There is only 5.2% area under forests, which is too low to meet environmental as well as socio-economic needs of the country. Due to deforestation, forest cover is shrinking by 3.1% annually and woody biomass by 5% annually. Natural vegetation reduces sedimentation in water reservoirs and stabilizes sand dunes. Mangrove forests protect the port of Karachi against wave action and act as a nursery for shrimp. Every major type of forest or protective cover in Pakistan has suffered heavily in the recent past from indiscriminate cutting, overgrazing, poor management and man-made ecological changes. This has increased desertification, erosion and silting of reservoirs and biological defenses against waterlogging and salinity are also deteriorated. The ability to resist against soil erosion caused by monsoon rains is largely dependent on vegetation and vigor of vegetation at ground level. Soil erosion increases on degraded grazing land with sparse vegetation cover, which leads to siltation of rivers and channels. Soil fertility declines due to the removal of topsoil resulting in low production of forage, fodder, fuelwood, timber, and grains. Soil erosion in the watershed areas of rivers increases sedimentation load, which reduces the storage capacity of dams. Free grazing of livestock is extremely destructive to forest and vegetation cover. With the increase in livestock population, there is heavy pressure on natural vegetation. During the period of feed scarcity, thousands of cattle, sheep, and goats depend on fodder plants, which are lopped to the main stem. Unsystematic livestock grazing reduces the productivity of rangelands due to soil compaction, devegetation of fragile slopes, destruction of terraces and selective destruction of growing trees and shrubs. As the economy in desert regions is pastoral, it affects both the livelihoods of the desert dwellers as well as influences the fragile environment. Due to ever-increasing human and livestock population there is enormous pressure on natural vegetation in almost every agro-ecological region of the country. Overgrazing of rangelands has extensively decreased the carrying capacity. Some areas have also been affected by waterlogging and salinity damaging the natural flora. Aridity and prolonged drought in arid lands have affected the vegetation cover in these areas. All these factors have contributed towards the loss of biodiversity in various regions of the country. As a result of degradation of natural habitat as well as illegal hunting, 31 species of mammals, 20 species of birds and 5 species of reptiles are listed as endangered in the country. The major factor contributing to water logging in cultivated areas is excessive percolation from the canal system, which builds up the groundwater level. The human activities such as cultivation of high delta crops on highly or moderately permeable soils, obstruction of natural drainage channels through the construction of buildings and roads, improper alignment and poor maintenance of artificial open drainage system, inefficient disposal of excess rainwater etc. also add to water logging problem. A total waterlogged area with water table depth of 5-10 feet in Pakistan is about 11 million hectares. Salinity and sodicity are associated with irrigation but these also occur as a consequence of soil formation process over the centuries. At present over 2.8 million hectares are affected by salinity/sodicity in Pakistan. Waterlogging, salinity, and sodicity have reduced the drainage capacity of the soils resulting in lower soil fertility, the decline in crop yields and loss of biodiversity. Drought is a temporary feature caused by anomalies in the usual climate of the region. It occurs in virtually all climatic regimes, but with higher frequency and probability in the arid and semi-arid regions. 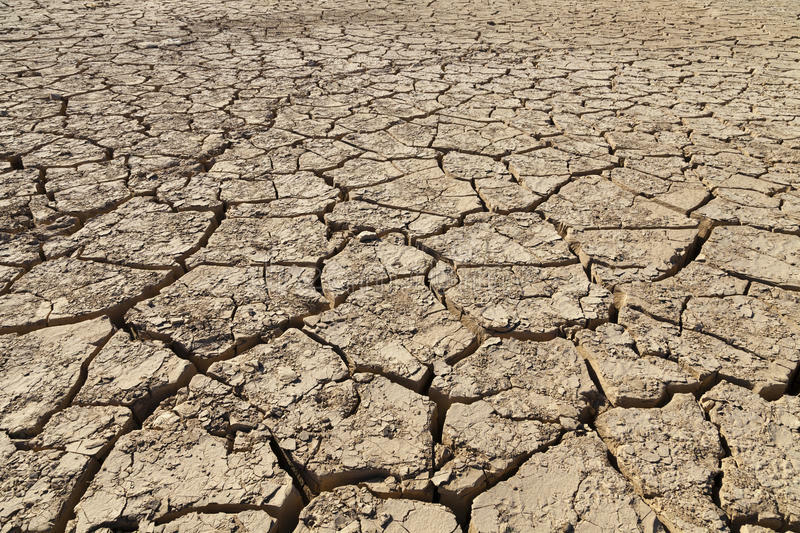 Periodic droughts are seen as a major cause of desertification in several desert areas of Pakistan. Recently the provinces of Balochistan, Sindh and southern Punjab have been severely affected due to prolonged dry spell for the last 3 years. It is estimated that 2.2 million people and 7.2 million heads of livestock have been affected. The effects and impact of drought in fragile eco-systems assume serious proportion due to misuse of marginal areas and unwise land use practices and overexploitation of natural resources. Adverse effects of drought on human activity last for many years. Flood occurrence could be an occasional or regular feature of the region. Being arid to a semi-arid country, floods are usually caused by excessive precipitation particularly during monsoon season due to weather and climatic disturbance. Floods in 1973 and 1992 caused severe damage to the national economy resulting in land degradation and loss of biodiversity. Floods prohibit cultivation in the summer season, destroy farmhouses and other facilities and bury fertile topsoil under relatively infertile sediments. Pakistan with a population of over 130 million is ranked 7th most populous country in the world with a growth rate of 2.6 percent per annum. The implications of such a rapid population proliferation are grave and multifaceted. It adversely fosters the process of sub-division and fragmentation of farmlands and adds to the fragile and marginal lands by denudation of forests and rangelands. There is a massive migration from rural to urban areas. It is the poorest of the poor who suffers from desertification and drought. Unless properly managed, the already degraded resources will be under heavy pressure. Agriculture, forestry, hunting, and fishing account for 66% of the rural workforce. Over half of the labor force is engaged by the agriculture sector, which has been performing below potential due to various technical, social and structural constraints.